What makes us DIFFERENT? It’s all in the Secret Sauce! 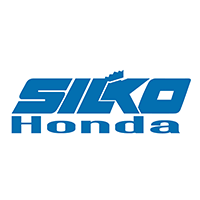 What makes Silko Honda different from the competition? It’s all in the sauce! We call it our “Secret Sauce”, and it’s just a few special ingredients we mix into our dealership that will leave you feeling satisfied and keeps our customers coming back again and again. Here’s the thing though, we don’t want to keep it a secret. We want everyone to know about the Secret Sauce that makes us different. Free Lifetime Warranty on new cars. Every new car we sell comes with our exclusive SilkoCare Plus program, absolutely free. SilkoCare Plus extends the powertrain warranty on your vehicle from 5 years, 50,000 miles, to LIFE! And, you get buy one, get one free oil changes for life too! Shop and compare prices, then get SilkoCare Plus for free. Risk Free used car buying. Most of our used cars come with SilkoCare Plus too. But, if the used car you are buying doesn’t qualify, we’ll still give you complimentary oil changes and free car washes for life. We will buy your car, even if you don’t buy ours. Through our Fair Market Value appraisal process, we will pay the highest value for your vehicle, even if you don’t buy from us. Start Here to determine your vehicle value. No Joke Service. Don’t let a stranger under your hood! Let us service the vehicles we stand behind. With express service bays to get you in and out quickly, courtesy vehicles available when appropriate, factory trained technicians, and competitive pricing, we will keep your vehicle running like new for many years to come. If you’re craving a new vehicle, go for some Secret Sauce, Go Silko!